This week, we’re delighted to launch a competition that features a truly innovative product from the lovely people at Bose. This exciting competition will see one lucky person win a Bose SoundWear Companion Speaker. This fantastic prize is sure to be music to the ears of one lucky winner! Bose have created a wearable speaker, thereby tearing up the rulebook that says we listen to music via headphones or a static speaker. The Bose SoundWear Companion speaker is a light, flexible and wearable speaker. Of course, Bose are no strangers to innovation, often breaking the mould and changing the way that we listen – or experience – music. From stereo speakers that reproduced more sound from the backof the speaker than the front, single-speaker compact stereo systems that made great stacks of equipment unnecessary through to noise cancelling headphones that completely flipped what we could expect. These are just a few of the breakthroughs Bose has introduced in their long history of innovation. Until you tried one of these, you just couldn’t appreciate how much of a difference it would make this – and that’s where I am with the Bose Soundwear Companion speaker. Once you try it, you realise that you actively needthis and can’t understand why it’s taken so long to come up with it! In my experience, the problem with headphones is that they’re either in or out; I’m either ensconced in my music or the music is off. Headphones tend to cut me off from everything going on around me. While sometimes that is a blessing, there are numerable times that I want to be more involved, more aware of what’s going on around me. A small Bluetooth speaker can allow me to be part of the wider picture, but too often I’ll move away from the speaker and then I effectively ‘lose’ the music. The Bose Soundwear Companion allows me to take the music wherever I go, so now I can be hands free andears free with the portability of headphones and the amazing sound I know Bose deliver. 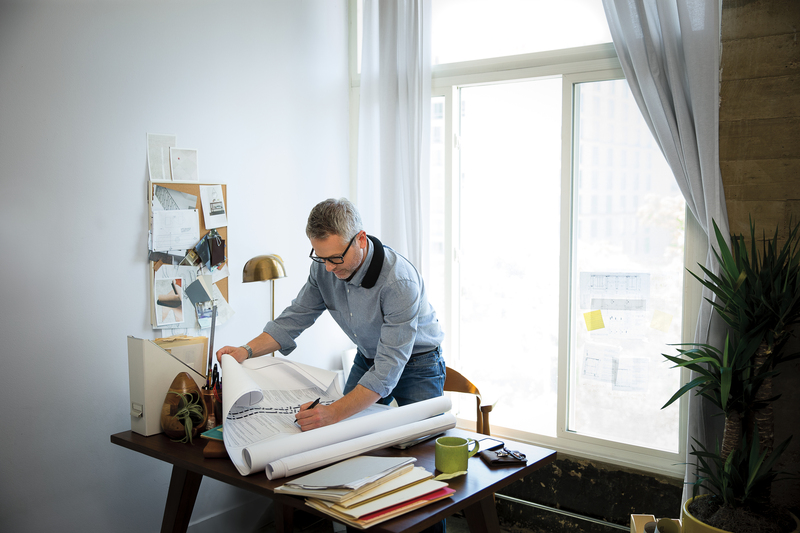 The Bose SoundWear Companion is finished in acoustically transparent (changeable) skin, which is soft to the touch and – thank goodness – is free from static. Once charged (around 3hrs for a full charge) you have an impressive 12 hours of playback. The sound is sent up to your ears, effectively in a conical ‘wave’, and the sound quality is unbelievable. The sound feels open, like you’re right at the ‘sweet spot’ in a perfectly aligned pair of speakers – which of course you are. It’s so instinctively brilliant and simple that, yet again, I’m aghast that nobody has thought of it before. I particularly loved the feel of the bass and, even at low levels, you don’t miss a single high end. Taking the SoundWear outside to do some gardening is an absolute revelation! My wireless headphones are often missed by neighbours, who presume that I am simply rude; the SoundWear immerses you in the richness of sound that is synonymous with Bose, while ensuring I’m still aware of my surroundings. It’s like being at a festival: all the gorgeous sounds of summer, with my own personal playlist. On the subject of playlists, I’m delighted to find that the Bose SoundWear Companion works with Google & Siri voice control as well as the Bose Connect app. 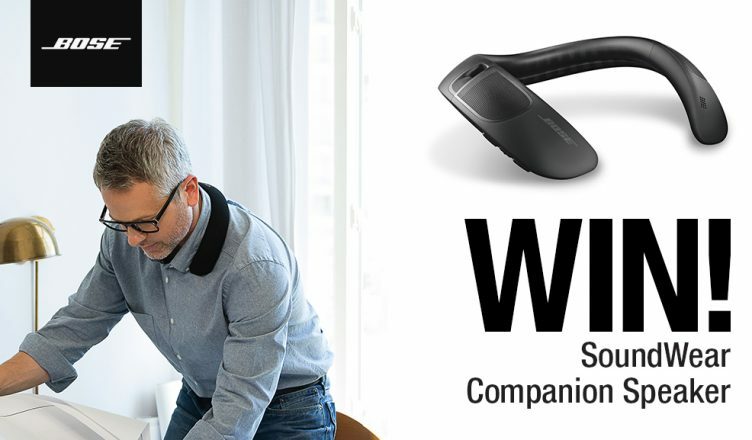 Wearing the SoundWear Companion at home is great too; you can work away at your desk, in the kitchen, wherever you are and the sound is perfect. If a child cries out, you hear them; if you get a phone call, the speakers and in-built microphone allow for a crystal clear conversation; if you need a recipe, just ask. Your hands are free, your ears are free – what a brilliant design. To find out more about this competition and to be in with a chance of winning one, just head to our Facebook, Twitteror Instagram pages to find out how you can enter our brilliant FREE competition. You can also buy onlineor ask your local storeabout feasting your ears – and eyes – on our Bose range.